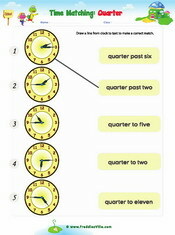 These ESL worksheets will help learners review expressions used when telling time - half past, o'clock, quarter to, quarter past. There are matching and writing exercises. 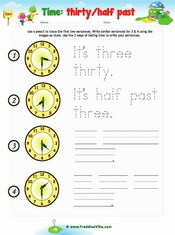 This worksheet involves writing sentences about the time using o'clock format. 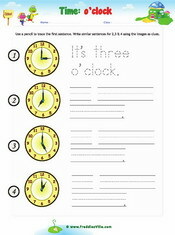 It is good for the first lesson on time. 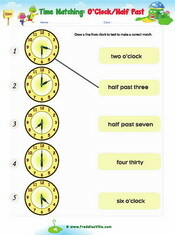 The clocks will help provide clues.